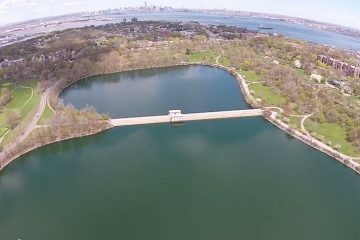 If you love Staten Island and want beautiful birds eye views of the borough of parks, This Way on Bay has the most complete collection of Staten Island Drone Footage. 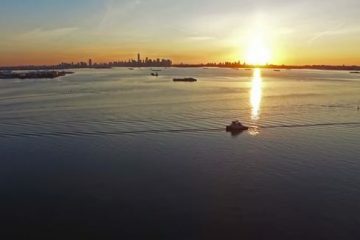 We’re seeing more and more video lately, of Staten Islanders taking their drones up on the island, giving us views that we’ve never been tall enough to take in. 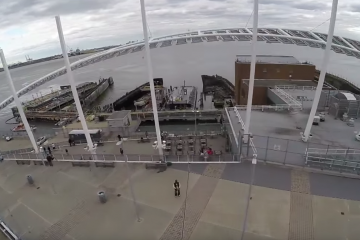 For this trip, YouTuber, InvincibleDon1, takes us on a tour of the air above the Staten Island Ferry Terminal in St. George. You get some pretty great visuals of the Verrazano Bridge, Richmond County Ballpark, and the Manhattan skyline from that area. Back in May we posted some cool video of a drone flying over Staten Island infamous ship graveyard and you guys seemed to really enjoy it. 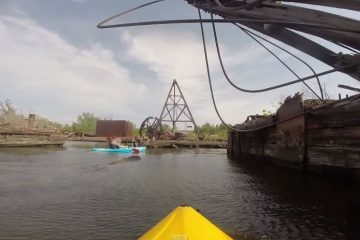 Well, fans of that video will be excited to learn that the people at 50/50 Skatepark decided to show their point of view, which happened to be from a GoPro on a kayak, on YouTube. If you’ve been curious what it might be like to ride on board the planned New York Wheel, you’re in luck. Youtuber, Scott Grella, sent a drone up in the location where the “observation wheel” will be constructed in the near future. 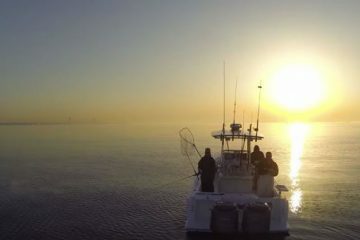 Youtuber, Johnny Drone, got some amazing footage of a bass fishing expedition that took place off the shore of Staten Island. The gorgeous shots are set to some fist-pump ready techno, because you know, Staten Island.